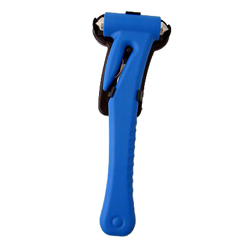 Yes, this little thing really will fix your flat. Even huge pick-up and SUV tires. No need to jack up. Just press the nozzle and it repairs and re-inflates your tire. You definitely should carry one in your car or truck. This amazing can of stuff will also PREVENT flats and slow leaks. Fix-A-Flat inserts a complex liquid into your tire. Leaking air instantly polymerizes it to plug up any hole. This magic material is similar to the stuff which keeps bicycle tires intact. The Army uses a similar compound to keep their tires going. Poly Braid Extra Super Strength - Super strong, light weight - Stronger than chain - 14' length - Excellent stretch to absorb sudden shock - Heavy duty forged hooks and plastic guards - 100% rot resistant and handy to store - Ideal for car owners, boat owners, farmers, or anyone who needs a tow. 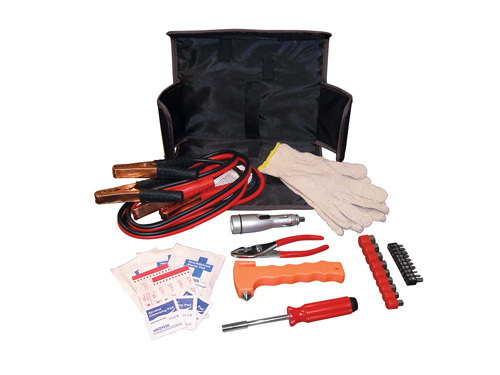 Inspect your auto with this affordable source of light. 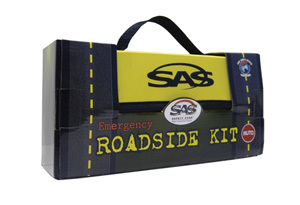 Great for roadside emergencies to warn other drivers of your presence. Inexpensive. Every car should have one! No more messy hands. No more heavy tangled cords. Spans 14 feet. The best car-to-car charging system. Simply plug one end to your car lighter and plug the one into the other cars lighter. 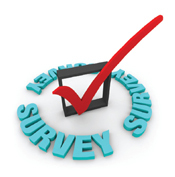 Strong Magnetic Base mounts to the top of your automobile for emergency flasher. Also has a flashlight at the end Uses two AA batteries. 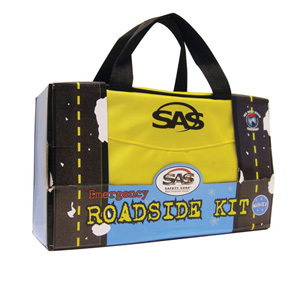 An emergency roadside kit is the one item that every vehicle should have; yet most of us never have one in our vehicle. 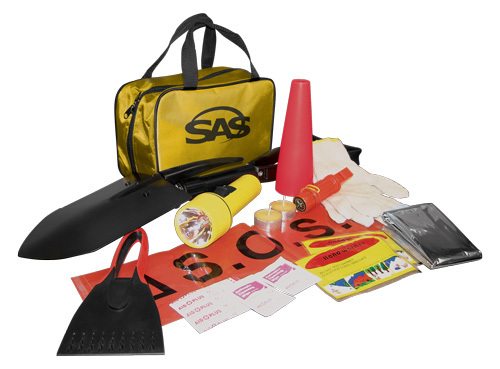 Our bright yellow carrying bag lets you find your emergency roadside kit quickly and easily. - Carry Bag - 11" x 4.25" x 6.75"
Bulk Discount purchase 6 for $26.96 each! - Carry Bag - 11" x 6" x 4"